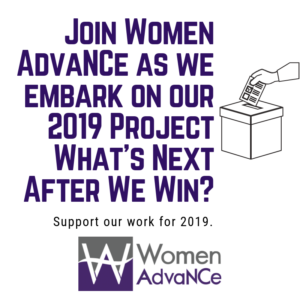 >> This is part one of a two-part series highlighting the research of >>American Women, an organization seeking to amplify the voices of women. The next feature will focus on research around women and work. Life hasn’t been easy for women lately – especially in North Carolina. From >>drastic cuts to health care, >>attacks on reproductive rights, and >>strains on public education, women have been struggling. >>American Women, a research organization that increases public awareness of the issues impacting American women and families, recently >>released a report on the mood of women in the United States. Across the country, women are finding their lives more difficult than even a few years ago. >>According to the report, an astounding 63% of women feel that their lives and those of their families have become harder – including nearly one-third of women who say their lives have become much harder. Women mainly worry about the economy, the report found. We are concerned with affording retirement, family members becoming ill, and having enough money to cover our monthly expenses. Fifty years after the enactment of the federal Equal Pay Act, >>women still earn only 77 cents for every dollar men earn. The other top worries of women include someone in their family losing a job, not being able to spend time with their family, and struggling to get ahead at work. Young women worry about student loans, money, and future opportunities. >>Young women one year out of college earn 7% less than men one year out of college – a number that spikes to 12% ten years after graduation. American Women also finds that older women worry about the next generation of women and the potential limitations on their opportunities. These numbers shouldn’t surprise anyone. Women face constant roadblocks to getting ahead – from workplace challenges to finding health insurance. North Carolina women face not being paid enough, not finding access to basic work supports, and even concerns affording health coverage. 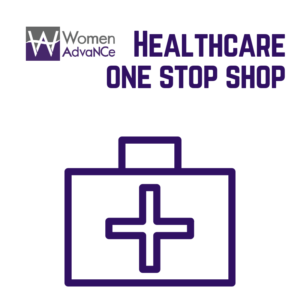 >>One in five women aged 18-64 lack health insurance coverage in North Carolina. If the state legislature had chosen to expand Medicaid, paid for and provided through the Affordable Care Act, more than 200,000 women would have been insured. The mood of women is worried – for themselves, their families, and the next generation of women.